Opinion editorial submitted to The Hill Times Online. View the piece on The Hill Times website. Most of us working in the water industry would agree that Canada should work towards a position of global leadership in water management.  Those outside of the water industry would recognize, at the very least, the importance of Canada effectively tackling key water challenges. Neither of these scenarios are possible however, if the leading research taking place across this country isn’t converted into practical, real-world solutions. The 2015 federal budget announcement focused on seniors and families, small businesses and security measures, among other items. Although the budget supported increased spending on infrastructure, marine transport and recreational fisheries—all related to our water systems—there is much more to do. It’s becoming increasingly evident that in order to be successful, government policies and private sector projects must attain public buy-in and support. This hinges in large part on whether the decisions driving the policies and projects are seen to be informed by unbiased, credible science. We need to re-establish trust in the strong link between leading science and effective policy, particularly with respect to key issues of ensuring protection of environment and public health. The World Economic Forum recently named water crises as the number one global risk in terms of health and economic impacts. According to the Blue Economy Initiative, water’s net direct annual contribution to Canada’s wealth is between $15- and $44-billion, as calculated in 2011. The numbers are likely much greater if you think about how critical water is to the success of heavily water-dependent sectors such as the $100-billion Canadian agriculture sector. Canada is one of only five countries in the world that can significantly expand its agricultural exports, based on its water availability and low ratio of population to arable land. The impacts and opportunities of water management are very real, both at home and on a global scale. Water crises have hit us hard in the last few years. 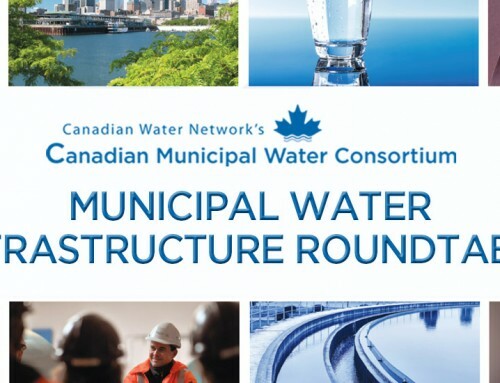 Canadians have experienced these crises in the form of flooding in Calgary and Toronto, droughts in British Columbia, pollution in Lake Winnipeg, as well as threats to the safety and security of our water supplies. We are facing increased impacts from population growth, aging infrastructure and climate change. It is no longer a question of “if” the threats to our water will be realized, it’s a matter of which ones will dominate, and when and where they will happen. Unlike using alternative sources of energy, there is no substitute when it comes to water. We need more effective management of water both to seize economic opportunities and protect against the growing risks—we simply don’t have the option to ignore it or continue to take it for granted. When we apply leading water knowledge to our decisions, we achieve effective and affordable water systems with resilient and adaptive communities. We leverage our leading edge agri-food sector to meet growing domestic and global demands. We see a rise in healthy and economically successful aboriginal and small communities. We become recognized as leaders in environmental and public health protection with strong energy and resource sectors. It’s not possible to realize this vision unless we have access to the right knowledge to impact regulation and policy. We also need to have trust and credibility in those sources of knowledge. The organizations that understand this are the ones connecting decision makers to science, providing them with the right evidence-based information, without the control of any particular government or industry group. These intermediaries understand where and how to make a difference by bringing evidence to the table and by bringing people together who share both the needs and knowledge. They also structure discussions in a way that leads to shared understanding and goals, while achieving buy-in from industry and the public for regulations and actions through credibility and trust. For Canada to effectively solve key water challenges and be a global leader in converting research into solutions and opportunities, it needs to empower trusted and credible organizations. By doing so, we will be improving our economy, our communities and allow for better protection of our public and environmental health. for research insights, webinars, events and career opportunities.